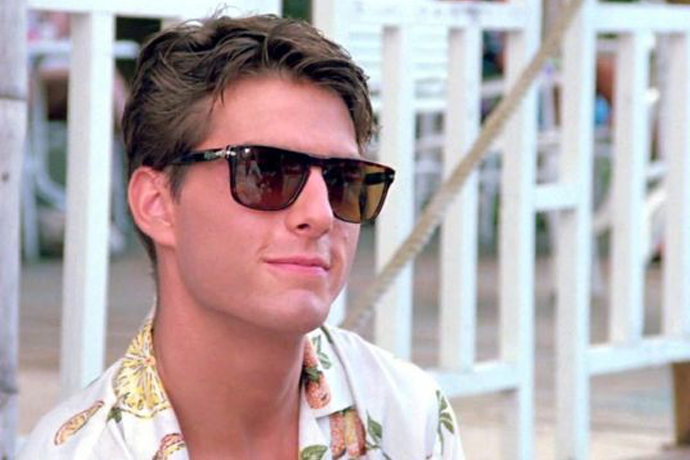 We know times are tough, but it's not like you're ready to trade your Italian suit for a burlap sack. Though we have been thinking about your tie. 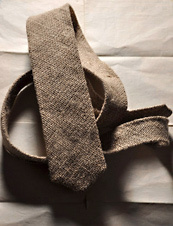 Introducing the Burlap Necktie from Nikolai Rose, available now for online presale. The centerpiece of a just-launched 1930s-inspired accessory line, we like this tie because it seems to meld the sensibility of a Dust Bowl farmhand with the moxie of a big-city go-getter. Plus, it seems perfectly, even eerily, in step with the times: the no-nonsense texture and thin silhouette (though no one's talking Jonas Brothers here) keep you in line with the understated fashions sweeping your office—yet it's got subtle touches of a higher pedigree, like the fine, hand-stitched-in-America center seam in back. This is the second big drop from Nikolai, a three-year-old vintage accessory house run by a pair of 22-year-old New York natives—though its main designer is currently a Chicago-based Art Institute BFA candidate. (We're guessing he'll graduate.) You've probably seen some of their earlier wares at Apt No. 9 in Bucktown, and this new line includes a few other gems just arriving there now, like Art Deco rings, tie tacks and even a Gentleman's Pocketknife Necklace. Perfect for cutting through corporate BS.